Protect yourself with TJ Clark's vitamins and minerals. 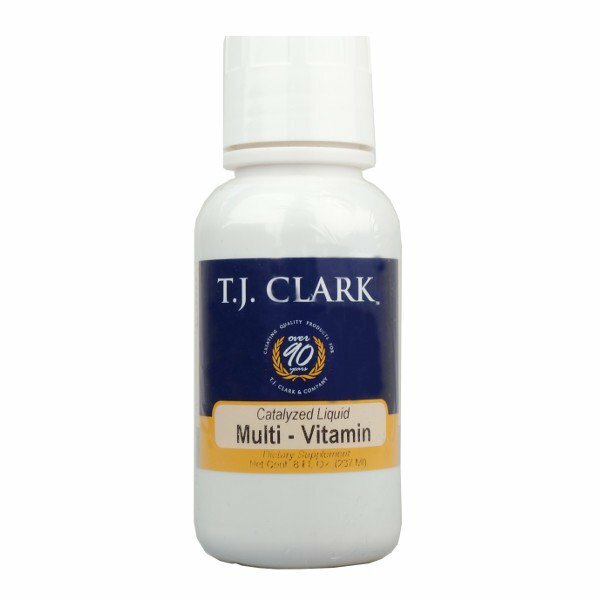 T J Clark’s catalyzed multivitamin is designed to complement the colloidal mineral formula and includes our phytogenic mineral catalyst for maximum nutrient utilisation. Poor diet and widespread depletion of nutrients place people in modern societies at risk of developing nutrient deficiencies. This problem is compounded by the increasing exposure to reactive chemicals, alcohol and drugs that impair nutrient absorption and use with subsequent depletion of cellular reserves. Recent surveys in Australia and New Zealand revealed a surprisingly significant prevalence of mild to moderate nutrient deficiencies. Suitable for children in a great tasting fruit flavour. Liquids are usually absorbed more completely than solids. Liquids are safer and easier for children. The dose of nutrients in liquids is spread evenly ensuring you get the right dose. Liquids are best for older adults because absorption of nutrients usually declines with age. 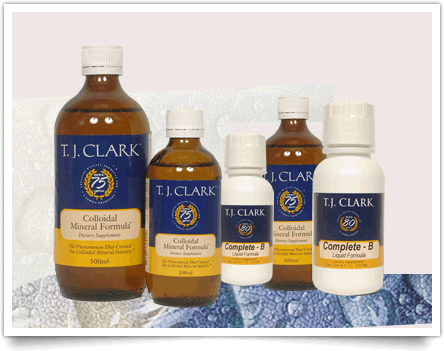 A short interview with Dr. John Lynch and Suzanne Clark outlining the benefits of taking T.J. Clark's Colloidal Minerals. What makes these colloidal minerals so different from other mineral supplements on the market? This interview was shot in New Zealand.